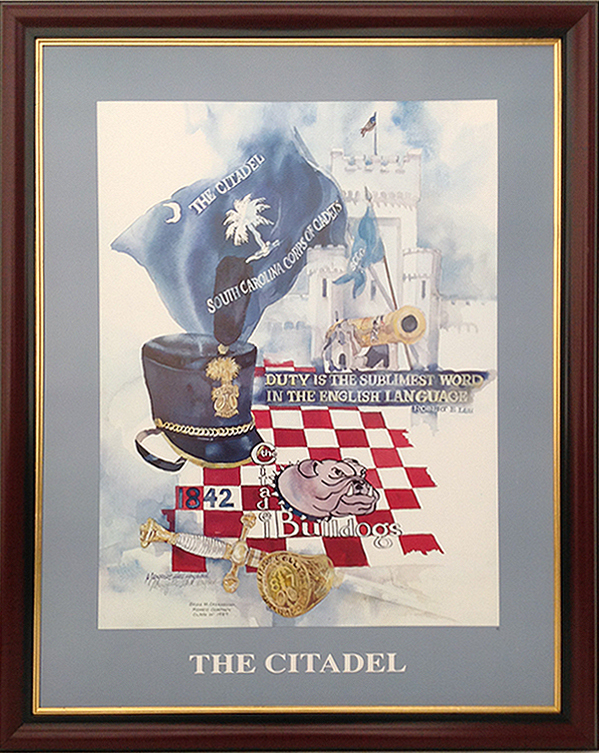 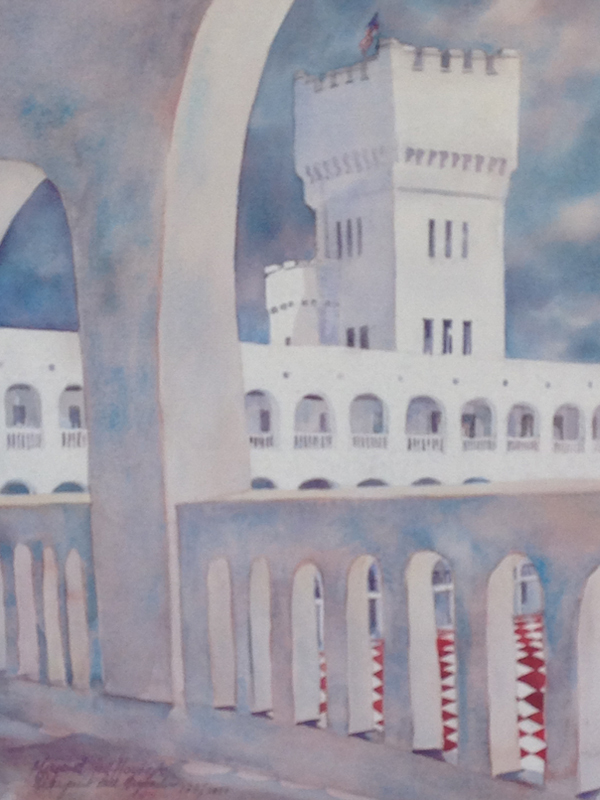 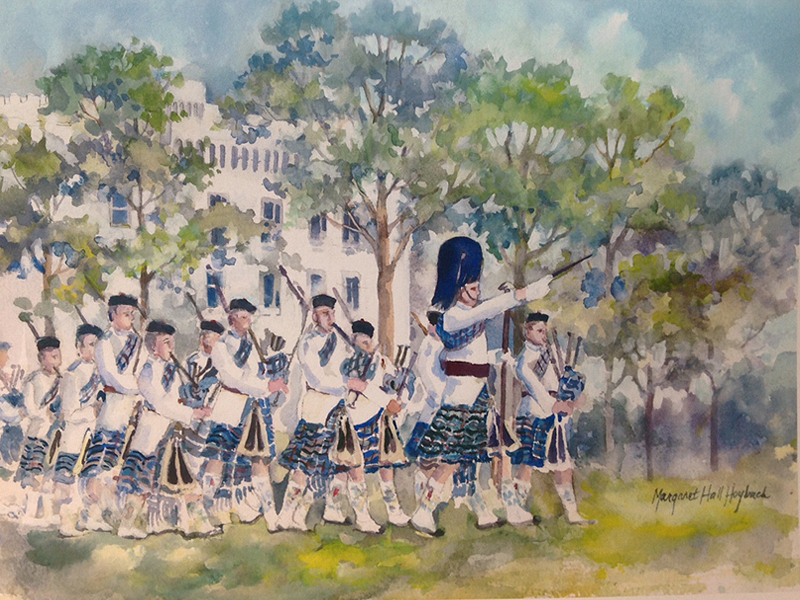 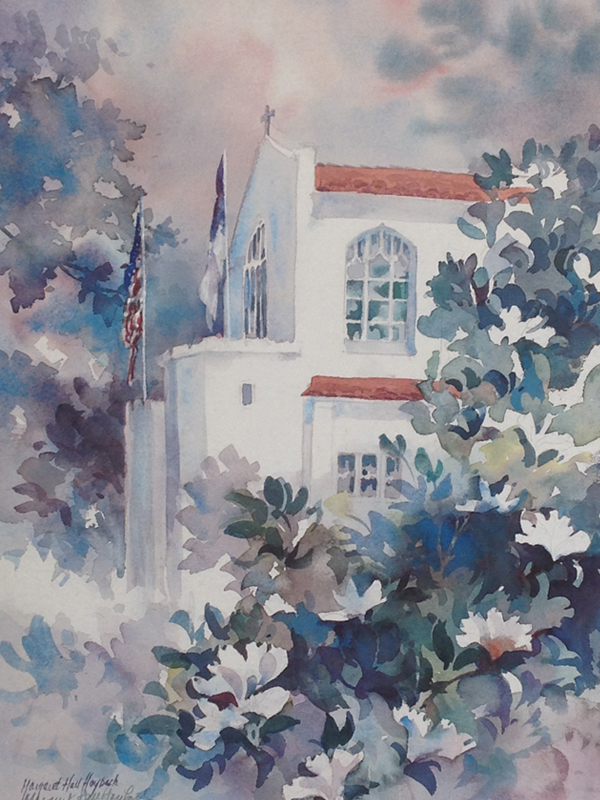 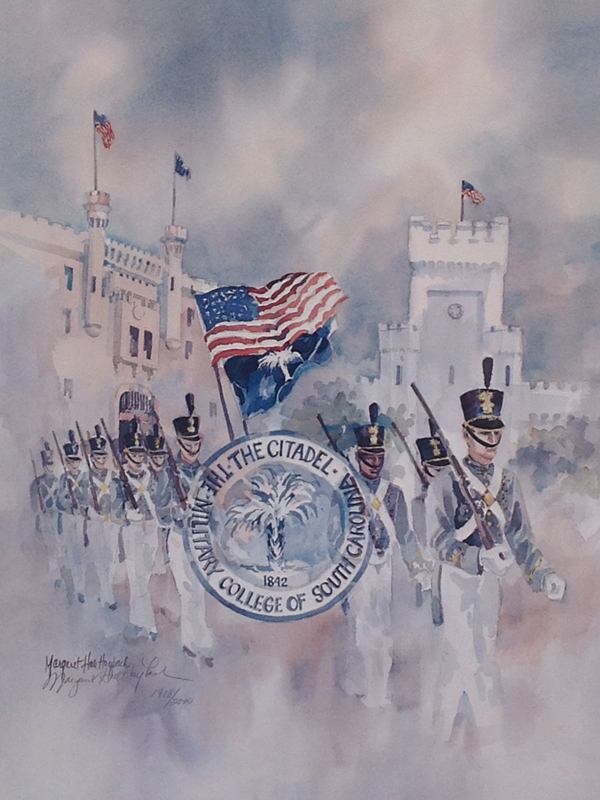 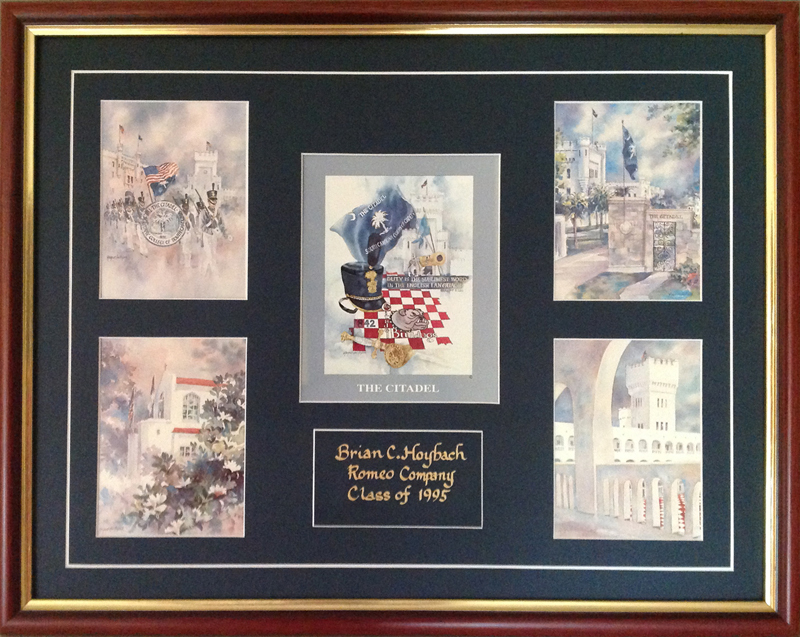 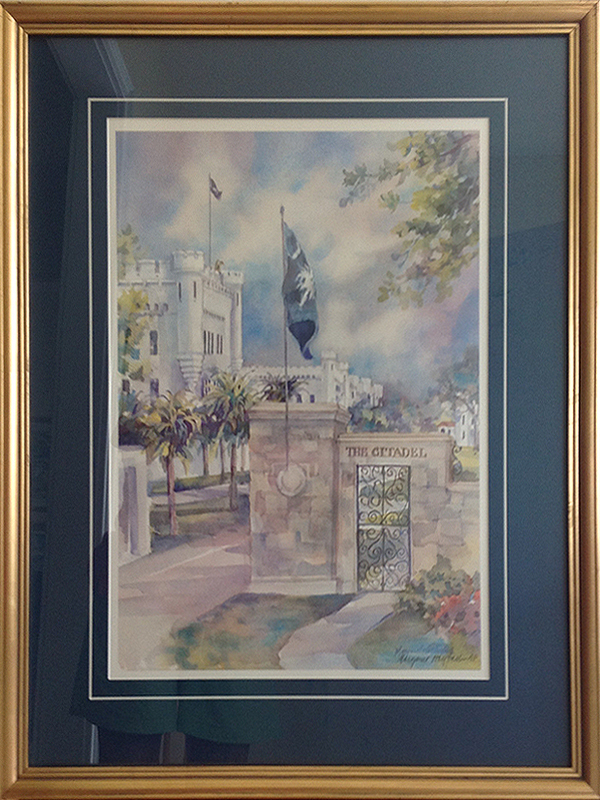 In 1992, the Citadel selected artist Margaret Hoybach as the Commemorative Sesquicentennial Artist. 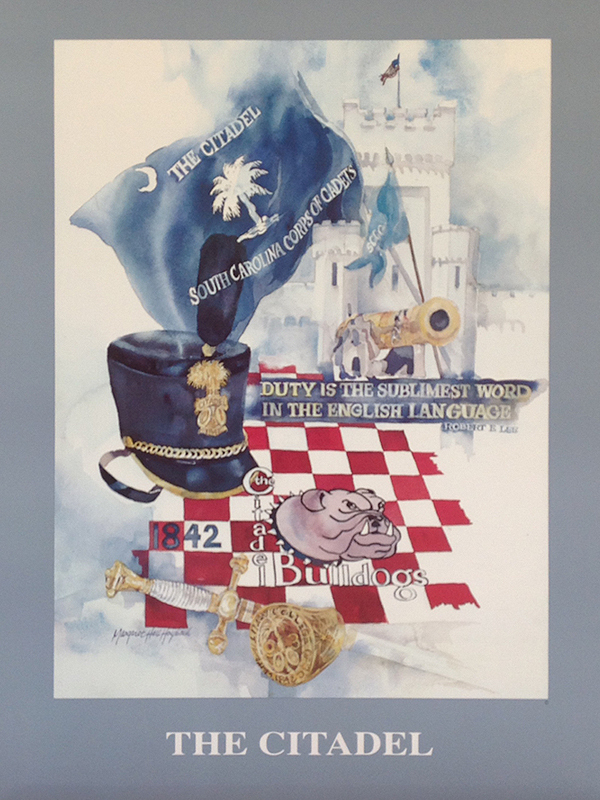 Four images were selected to become the official Sesquicentennial collection, currently hanging at the school.These Limited Edition prints are available in two sizes, and can be personalized with the cadet's name, company, and class. 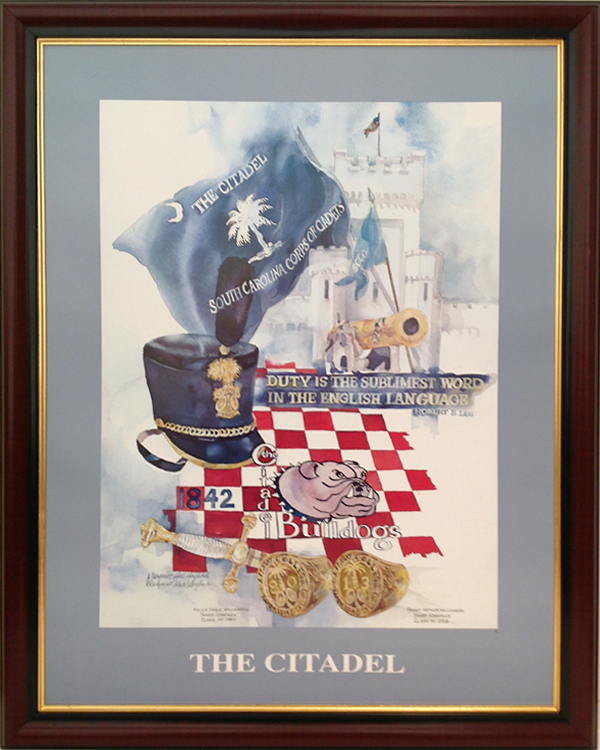 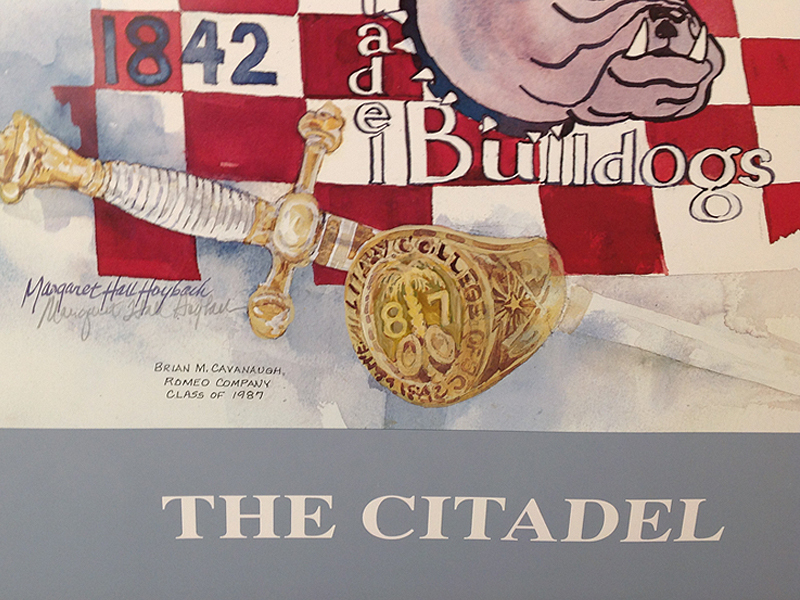 The Citadel poster is a collage of Citadel memories suggested to the artist by two companies at the Citadel. 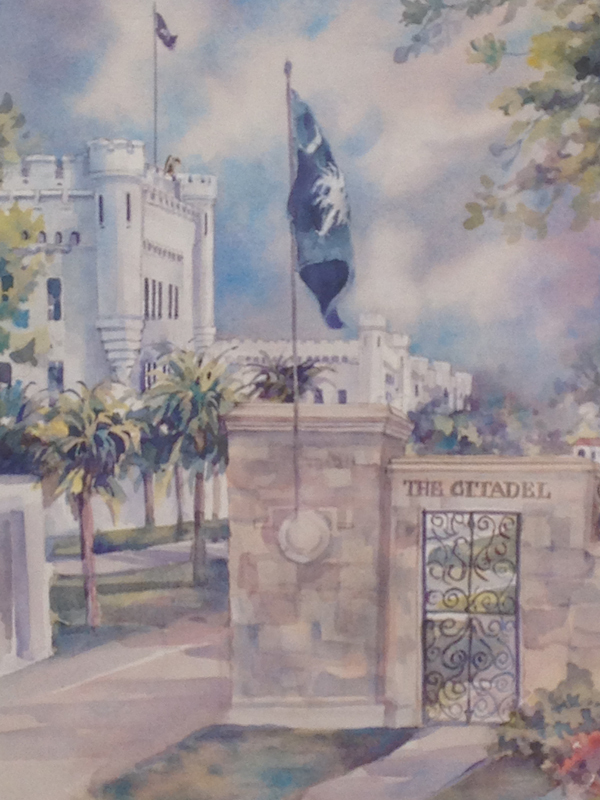 The large mural "A View of the Citadel from the Ashley River" hangs in the River Room dining room facing the river. 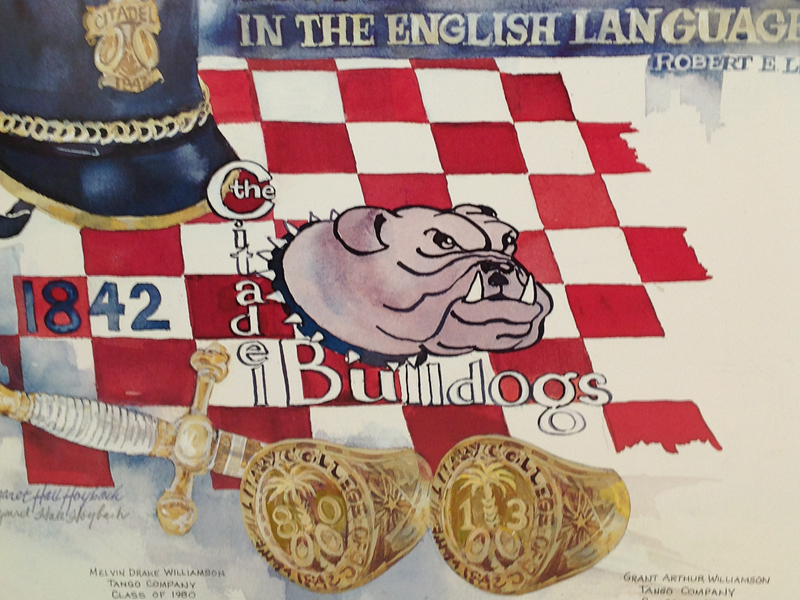 This was completed by the artist in the late 1990's.